We all want our trucks to look and operate their best with after market truck accessories. Now that you’ve invested your hard-earned savings into your truck, it makes sense that you want to kit out your vehicle with the finest truck accessories possible. There are hundreds of choices when it comes to truck accessories available on the US market today, and so we want to help you to narrow down your options and make the best decision. The team here at Hurricane Auto in Houston, TX has compiled a comprehensive guide to what you need to know about truck accessories. Below you will find details about the different accessories available, tips for how to select the best options and information about some of the best brands on the market. Tonneau covers are a huge topic – we could write an entire article just on this one truck accessory! A tonneau cover is a hard or soft cover that truck drivers can use to enclose and/or protect their truck bed. 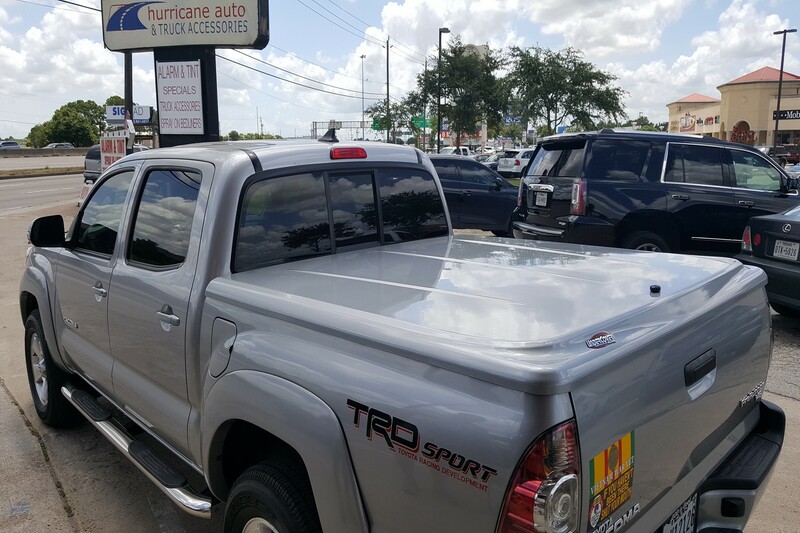 A tonneau cover can help to keep your truck bed dry and protected from the elements, and it can also help to secure valuables and prevent theft if you are transporting cargo. A soft, roll-up tonneau cover is a common and popular solution, as it uses vinyl or cloth to keep the truck bed concealed and dry. Roll-up tonneau covers come in a variety of styles, colours and materials, and they use a rib-like internal structure, and this supports the fabric and keeps it taut. In the past, you may have seen tonneau covers that snap into place, but these are becoming less popular as they require drilling permanent holes or fixtures into your truck. An increasingly popular option for covering your truck bed is a retractable tonneau cover. 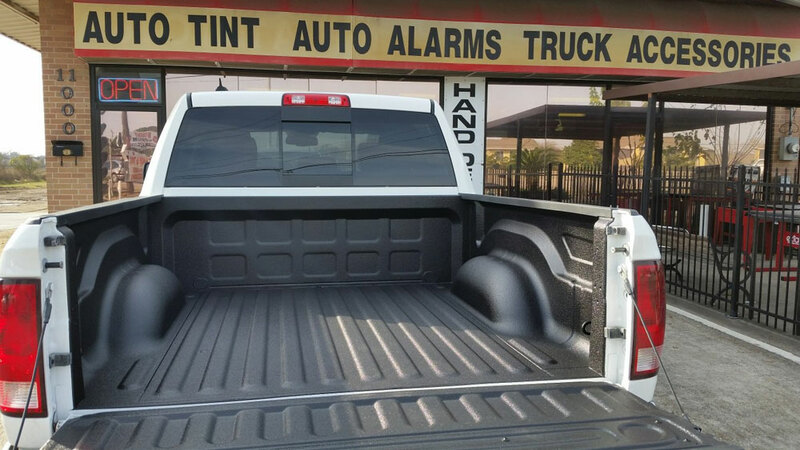 This style of cover is often made from vinyl, aluminum or plastic, and is mounted to the front and sides of the bed, and then retracts from the tailgate up towards the cab. The retractable tonneau cover can be a more secure option than a roll-up unit, as they usually include a locking mechanism. Hard tonneau covers are another great option for most pick up trucks, and they are very popular for owners who want a durable, secure and highly protective cap cover. A hard tonneau cover is often quite heavy, and might require gas struts to help the opening and closing process. They might open side to side, back to front or even have multiple compartments, perfect for those who use their truck for commercial purposes. 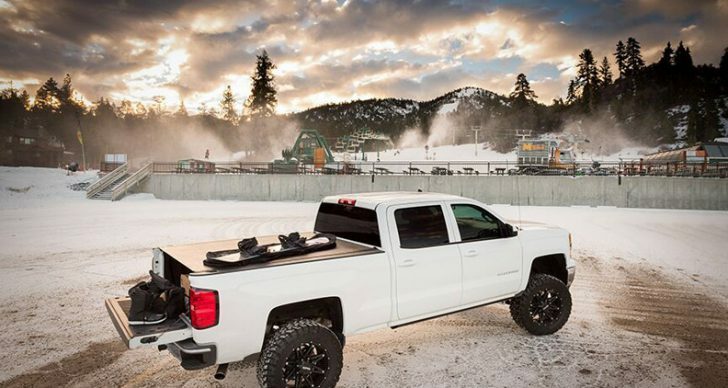 We use the best tonneau covers on the market, often opting for the Elite LX model from Undercover Truck Bed Covers, and any of the fine products from RollNLock or BakFlip. These models are lightweight and easier to remove than outdated fiberglass options. Want to remove and reinstall? It’s easy – these covers can be hung on the wall of your garage or shed until you need it again. That said, this style of tonneau is not always the best option if you need to load lengthy or tall objects, as you can’t clear the bed cover completely out of the way (like you can with retractable or trifold covers). Confused about which style is best for you? If you’re in the Houston area, swing by and we can help you choose what will work for your needs. Most truck owners choose to have a protective coating added to their truck bed in order to safeguard their investment over a long period of time. A spray on bed liner will shield and protect the inside of your truck bed, and it can also help to create a skid-proof surface that keeps your cargo firmly in place. Spray on truck bed liners come in two main types, determined by the material that they use and the application process that they utilize. Aromatic spray on liners are more affordable, and they are often only used for black or darker colored trucks. Aliphatic spray on liners are often considered a better option for trucks of different colors (including metallic finishes), because they are created with pure polyurethane and can match almost any hue. We offer Toff branded liners, and will soon also offer Vortex spray liners. Ensure that you have your spray on liner administered by a professional, as when the coating is applied correctly the bed liner will resist dents and scratches, and it will hold its shape for the entire life of the truck. A spray on bed liner is always a good idea if you want to protect your investment, particularly in the hot Houston sun. A bug shield is a ‘must-have’ truck accessory for anyone who lives in Houston or a similarly warm climate. As you drive around the streets, freeways and highways, flying bugs are likely to smack into your truck, and they can wreak havoc on your paint job and cause unsightly stains on your chassis. Bug shields work in a simple yet ingenious way, by creating an upstream of air that sweeps bugs up and over the top of your vehicle. Simply put, a strip of acrylic is added across the hood of your truck, and this creates a wind deflecting slipstream that keeps the bugs from splattering all over your vehicle. Choose a sleek, aerodynamic design and have the bug shield installed by a professional. A bug shield installed on the front of a truck. Want to add more speed or fuel economy to your truck? Consider adding after market performance parts to your vehicle. Performance parts can help you to create the truck of your dreams, uniquely customized to your exact needs and specifications. Performance parts allow you to boost your power and overall efficiency. From exhaust systems to computer chips, programs and air intake systems, after market performance parts can be an excellent investment for your vehicle. We recommend the products from K&N – their intake kits are the best on the market. You might want to lift your truck for function, or you might just love the way it looks – either way, lifting your truck doesn’t have to be a hassle. Trucks look fantastic when they have been lifted, and you have two main choices when it comes to how you’re going to do it. Lift kits and levelling kits both achieve similar results, but they go about it in different ways. Lift kits come in two main types – body lift kits and suspension lift kits. Both of these can raise your truck from a mere few inches to a massive height, but a body lift tends to be cheaper as it does not affect the suspension (and this method can also affect balance and driveability). A suspension kit is the more involved option, as it typically involves replacing everything! You’ll likely have to change the shocks/struts and leaf springs, the control arms, the trailing arms and sometimes even the drive shafts and steering components. It’s a heavy duty endeavour. Levelling kits are the most affordable option of them all, as it does pretty much just what it sounds like it does – it levels your truck! By raising the front end of your vehicle up a few inches, you can eliminate the factory standard rake (angle) in your truck and bring the front and rear level. Customizing the wheels and tires on your truck can make a world of difference and really make your vehicle your own. The wheels and tires that you choose will go a long way when it comes to the look and feel of your vehicle, and we carry the best brands in the business. From Fuel Off Road Wheels to Toyo Tires, nothing on your truck should ever be second best. A vent shade, also referred to as a vent shade or a rain guard, is an important truck accessory for anyone driving through inclement weather. Vent shades help to prevent rain and wind from entering your vehicle, enabling you to enjoy fresh air no matter what the weather outside. Most vent shades are made from tough acrylics, and are designed to last for the lifetime of your truck. We love the team at AVS and Lund – they make spectacular products that stand the test of time. If you use your truck for business or for home renovations, adding a ladder rack is a vital accessory. You made a sizable investment when you bought your truck, and in order to protect your investment you will want to keep it free from scratches and damage. A ladder rack will keep your ladder and other supplies from damaging your truck bed, and it will ensure that your gear is always easily accessible and ready at hand. Driving through muddy areas? Caught in a rain shower and worried about your vehicle’s cleanliness? Mud flaps are the solution. Install mud flaps in the wheel wells of your truck in order to protect your vehicle, pedestrians and other vehicles from flying debris and mud flung up into the air by your spinning tires. 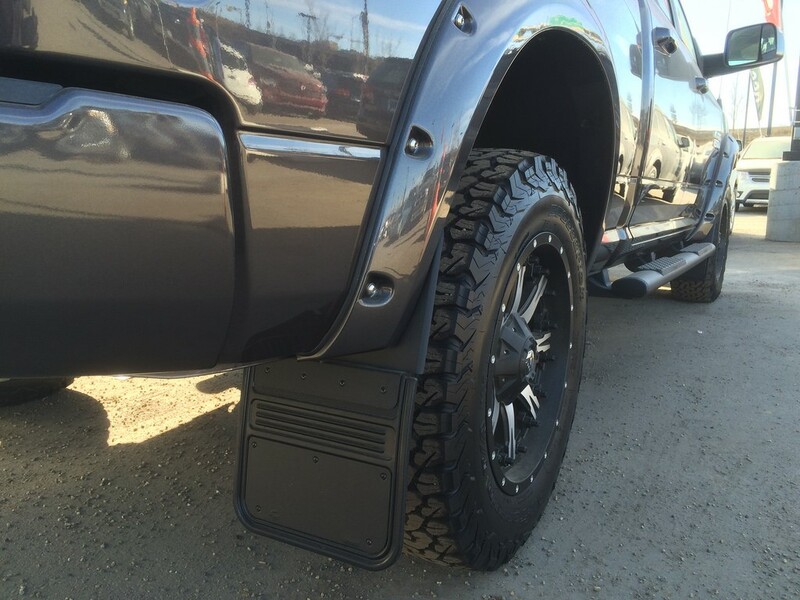 Made from rectangular sheets of rubber, mud flaps are durable truck accessories, necessary for Houston’s rainy season. If you are interested in improving or maintaining your aerodynamism, inquire about mud flaps with louvers or vents in order to improve your airflow and prevent lower drag. Husky Liners is a great company to work with – these guys really know their stuff and they make a great product. A fender flare is an extension of your fender that can help to provide additional coverage for oversized or heavy tires and wheels. If you are using customized tires, using fender flares can keep your truck on the right side of vehicle equipment laws, reducing the chance of police fines. Fender flares can also help to deflect rocks and other debris from hitting the body of your truck, thereby protecting the resale value of your vehicle. You can purchase fender flares in a ‘ready to paint’ form, allowing you to fully customize colour and finish – we use the highest quality Vortex Liner Spray for our clients. You can also have bespoke fender flares installed for you by a trusted auto body expert. Fender flares can be precision engineered to fit your truck, and they install easily with no cutting, drilling or screws required. Pocket style fender flares, Fender flares can be made to fit any wheel well or tire. 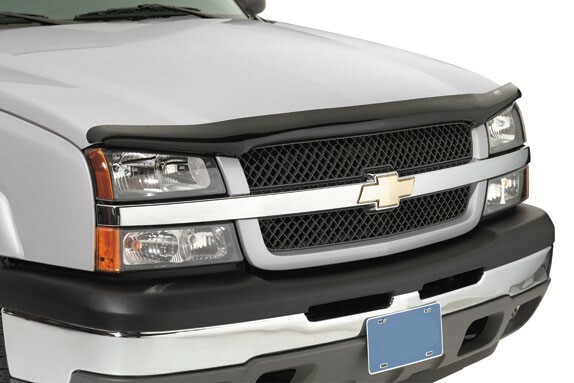 A bumper guard is a welcome addition to any truck, as it will keep your paint job, grill and bumper safe in the event of a minor collision or a small accident. Sometimes referred to as a “Bull Bar” here in Houston, this truck accessory can save you a lot of energy and money, as it can dramatically decrease the risk of damage to your truck. Replacing a bumper, grill, hood or lights can be expensive and time consuming, and if you use your truck for business this could also hinder your work. 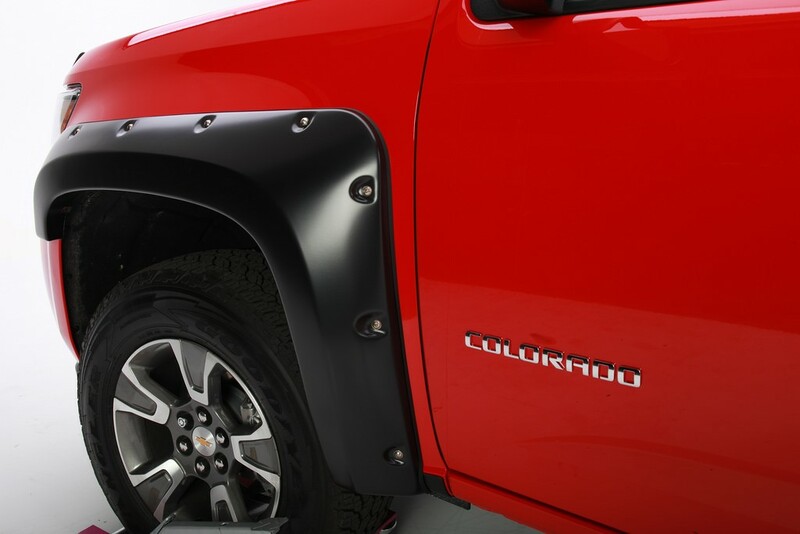 A bumper guard protects your truck – and your investment. Looking for a great way to personalize your truck and liven up its cosmetic appeal? A custom grille can transform the look and feel of your truck, and it will give you something to be proud each time you see your vehicle. 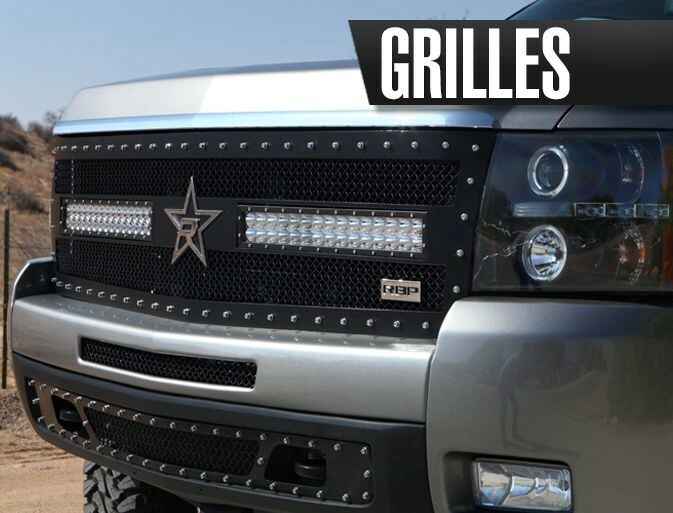 If you plan to add a customized grille to your truck, ensure that you use a reputable company – ask to see examples of finished work before assigning the job to any business. Tool boxes are a useful accessory for any truck – if you use your vehicle for work, contracting or other manual labor, it pays to have one installed as soon as you buy your truck. A heavy duty rubber tool box can be custom designed to fit into the bed of your truck, and can also be made to fit around any potential tonneau cover that you have installed. These durable containers can be used for hauling goods, transporting tools and preventing scratches, and they will stop small items from moving around and potentially causing visual impairment for the driver. Most trucks have blind spots that cannot be viewed no matter how much you adjust your mirrors or crane your neck. This can make parking (and reversing in general) a difficult prospect. Thankfully, you can have back up sensors installed on your truck that can make reversing a lot easier and less dangerous. A good back up sensor will often include a sound that activates and changes depending on how close you are to an approaching obstacle. Some back up sensors will also include video capabilities, allowing you to see clearly behind your truck as you reverse. No matter the height of your truck, you will likely want to have a running board installed for your safety, comfort and resale value. Running boards (sometimes known as step boards) are narrow steps that are fitted securely under the doors of your truck, aiding in entry for both driver and passengers. If you are of short stature, or if you want your children to be able to get in and out of your vehicle with ease, a running board is a necessity. Not only do they add an attractive touch, they are a useful and affordable addition that anyone can make. A nerf bar is a small, tube shaped device that can be fitted to the side of a vehicle to ease entry and exit. Originally designed in order to protect race cars from lower body damage while on the track, nerf bars have now evolved into a handy truck accessory with many purposes. 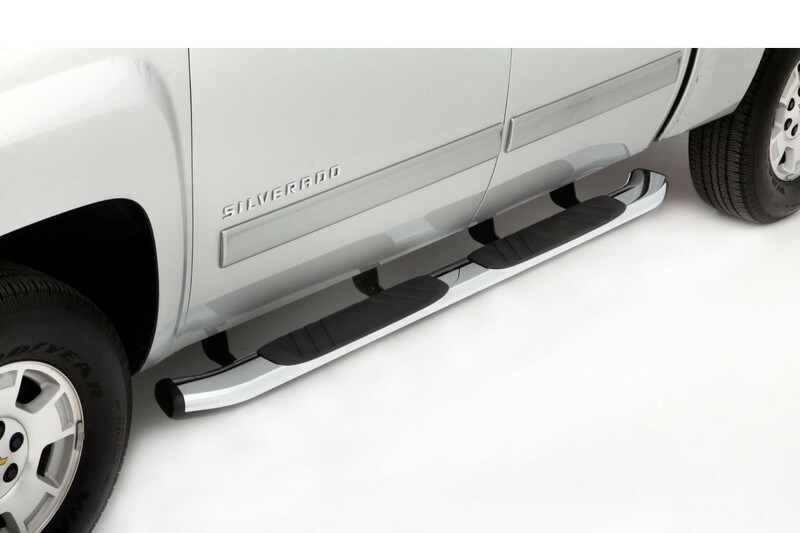 Similar to a running board, nerf bars can be used as side steps, allowing passengers and driver alike to get in and out of the truck with ease. Floor liners are a truck accessory that nearly every vehicle owner will want to invest in. These affordable, simple rubber mats will protect your interior upholstery and carpeting from rain, dirt, mud and other debris. You can choose from fully customized floor liners, specifically designed for the dimensions of your truck, or you can purchase ‘off the rack’ models that fit your make and model. Don’t neglect floor liners – they should be in place as soon as you buy your vehicle. Similar to installing floor liners above, you should ensure that your seats’ upholstery is completely covered and protected with seat covers. Seat covers can be completely customized and made to measure, or you can purchase ready made options that will do the trick. No matter what kind of accessory you choose to add to your truck, make sure that you do your research and only deal with qualified experts for your purchase and installation. If you are living or working in the Houston, TX area, you can rely on the professional team at Hurricane Auto. With decades of experience and a record of fantastic customer service, Hurricane Auto is your best bet for truck accessories in Houston.